If you’re planning an activity for a groups of friends or colleagues then we can provide everything you need for a truly memorable experience. 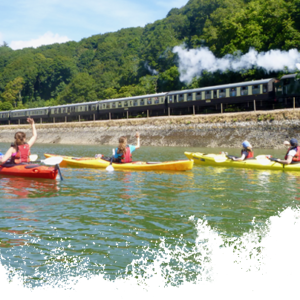 Sea Kayaking is a perfect activity for a mixed ability group; even the least sporty people in your team will easily be able to keep up so you can all enjoy a great adventure. Just let us know the nature of your event and we’ll tailor the trip to your needs. We can provide delicious homemade cakes and champagne for a birthday party or a fully catered BBQ on a beach for corporate day out of the office. We can cater for groups of up to 30 and larger on request. We have a maximum of 6 people to each instructor so that even with big groups everyone in your party gets lots of individual attention. !PLEASE CALL OR EMAIL TO BOOK YOUR TRIP!